Wednesday. Is there a day that personifies the progression of the week more than Wednesday? We've made it through Monday and Tuesday. Thursday and Friday are ahead. Stuck in the middle is Wednesday. Saying "it's all downhill from here" isn't exactly the right phrase, but you get the gist of what I'm going for. Anyway, we've got another set of bite-sized news stories for you for today. In this bunch we have: Hydra Miniatures posts Retro Raygun Preview Video, Recon Force Alpha PDF From Finger and Toe Models, Alewood - A Modern Tabletop Drinking Game Preview, some new installments of The Fiver from The Meeple Mechanic, Sally 4th Releases Public House from range of photorealistic building kits, Tabletop-Art Previews Upcoming 32mm Bases, Queen of Hearts WIP & New Bases for your miniatures by Kabuki Models, Kromlech New Release - Legionaries Pistols, New Release: 15mm Stalingrad/Russian Buildings from Novus Design Studios, New 6mm scale superheavy tank pre-orders from Gregster's Lab, and New Steampunk Bases From Fat Spider. 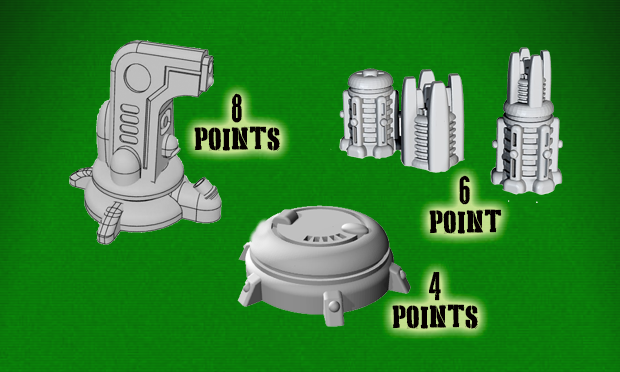 Gregster's Lab has brought out some more add-ons for their 6mm modular research lab terrain Indiegogo campaign. Gregster's Lab shows off the last add-on pack they were working on for their 6mm terrain range. The Indiegogo campaign ends in 13 day and has already reached 230% funding. The new items complement the GreyDark Industries research station building kit. Gregster's Lab made it up and over their funding goal on Indiegogo and has added on new add-on packs to their campaign. We are introducing 4 add-on packs. Each pack gives you certain number of points that you can spend on the below add-on items. The add on packs have free postage included. 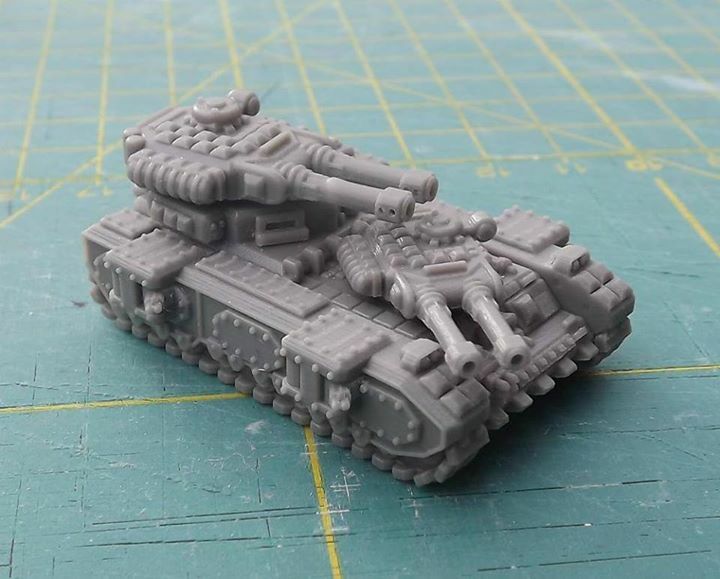 Gregster's Lab is showing off the prototype cast they got in of their new 6mm Research Station terrain piece they've been working on. We are happy that the test casts came out well, so from now on, you can also get the GreyDark Industries research station in our Indiegogo campaign. "GreyDark Industries specializes in high-tech military hardware. Their research stations are protected with top-notch troops and heavy weaponry. Usually located in desolate places, rarely can you see one with your own eyes." 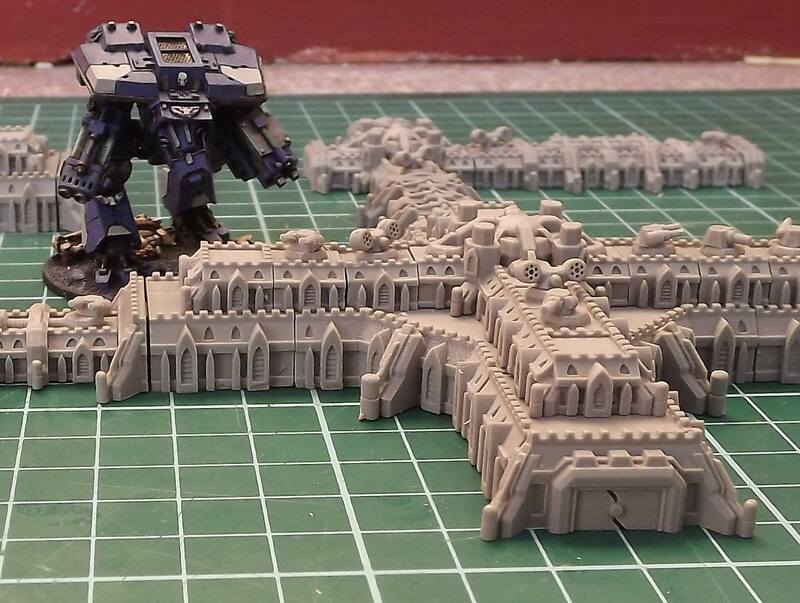 Gregster's Lab is showing off some more 6mm scale terrain as part of their Indiegogo campaign. 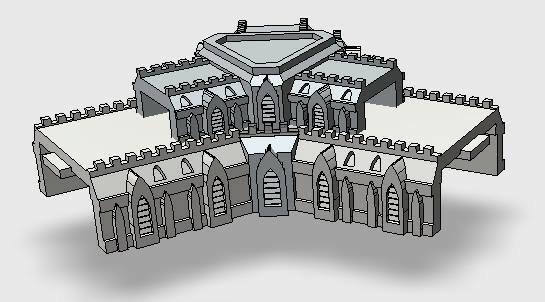 We are now able to show you our next terrain piece for the Indiegogo campaign: the Sigma Star Systems walled compound. It is still very Work-in-Progress. I need to spend more time to finish it, but it already shows you the form and the possibilities. We will show you later all the forms that will be in the set on our Facebook page. 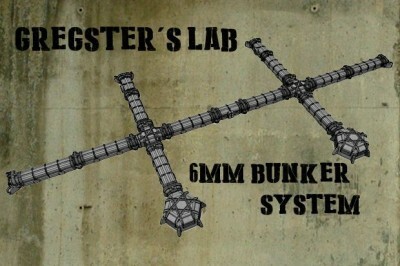 Gregster's Lab is running an Indiegogo campaign for their 6mm modular bunker system. Go and check it out. This bunker system could be a nice addition to any 6mm scale tabletop wargame. Scenery always adds a lot of atmosphere to any game and greatly contributes to the gaming experience. 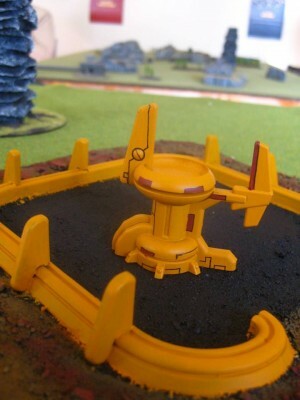 Gregster's Lab will soon be launching an Indiegogo campaign in order to fund a new line of 6mm bunker terrain pieces. They've got some preview renders up for you to look at. 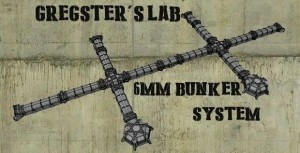 Gregster's Lab will soon launch an Indiegogo campaign to fund their 6mm scale modular bunker system. To keep you updated, follow us via our Facebook page.